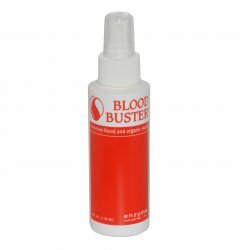 Bloodbuster avaialble in 4oz and 32 oz blood and stain remover. 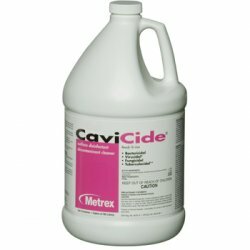 Cavicide Is a hard surface disenfectant effective against many viruses and bacteria including MRSA. 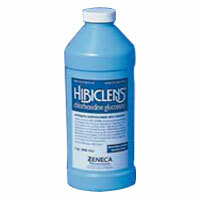 Hibiclens antiseptic skin cleanser binds with the skin to creat a protective germ killing barrier for upto 6 hours. available in 4 sizes.